The Best Kidtastic Toys for Easter Baskets + a Giveaway! Thanks to Kidtastic for sending me these awesome toys. As always, all opinions are my own. Easter is quickly approaching, and I’ve been looking for alternatives to candy for filling our kids’ baskets this year. While we do enjoy a few tasty treats, I find that we are inundated with candy and chocolates after each holiday. Usually I let the kids have a few pieces and then tuck the rest away, but then I end up eating all of it! Since I’m focusing on making better food choices this year, I want to limit the amount of candy coming into our house in general. I turned to one of my new favorite brands for a couple fun Easter basket fillers this year and I’m excited to show them to you! 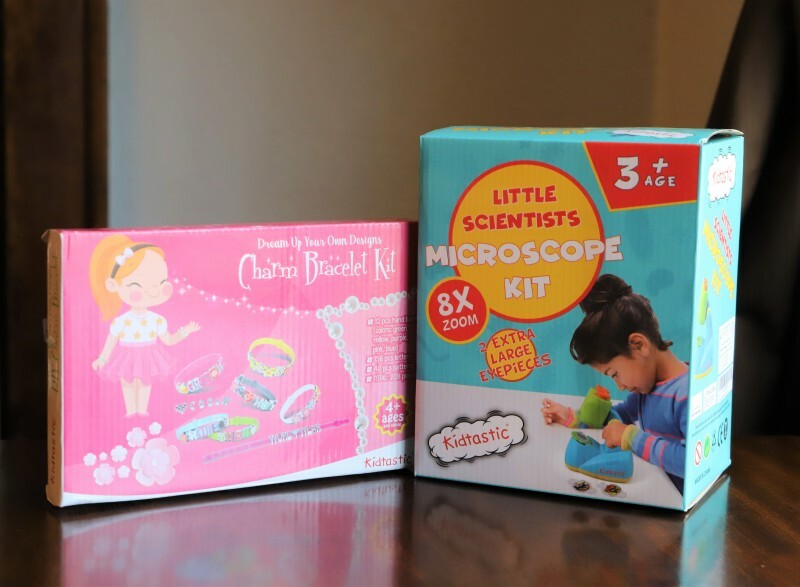 This adorable Little Scientists Microscope Kit is the perfect Easter basket offering for kids three and up! 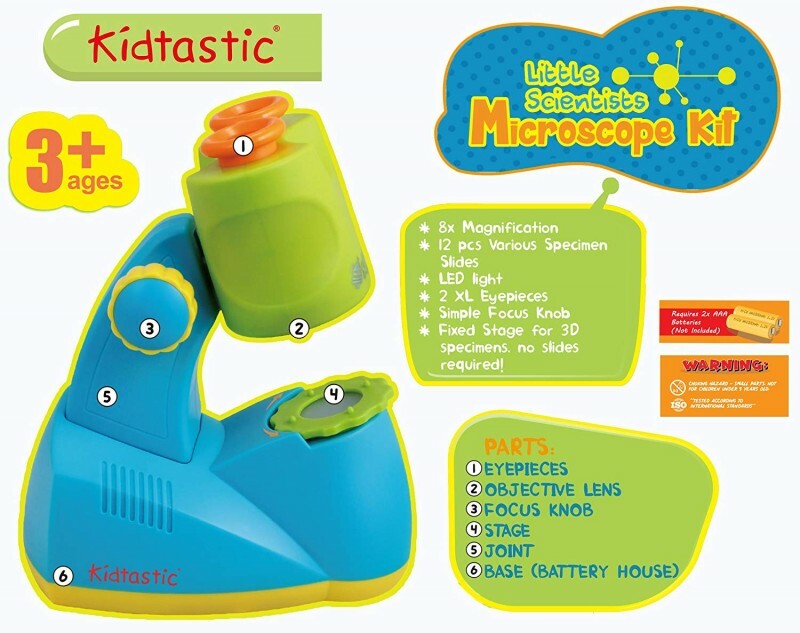 This is a beginner microscope with an enlarged eyepiece and knob for easy manipulation by small fingers. It comes with twelve specimen slides and also allows space for kids to check out their own exciting finds as well, including rocks, leaves, and more. 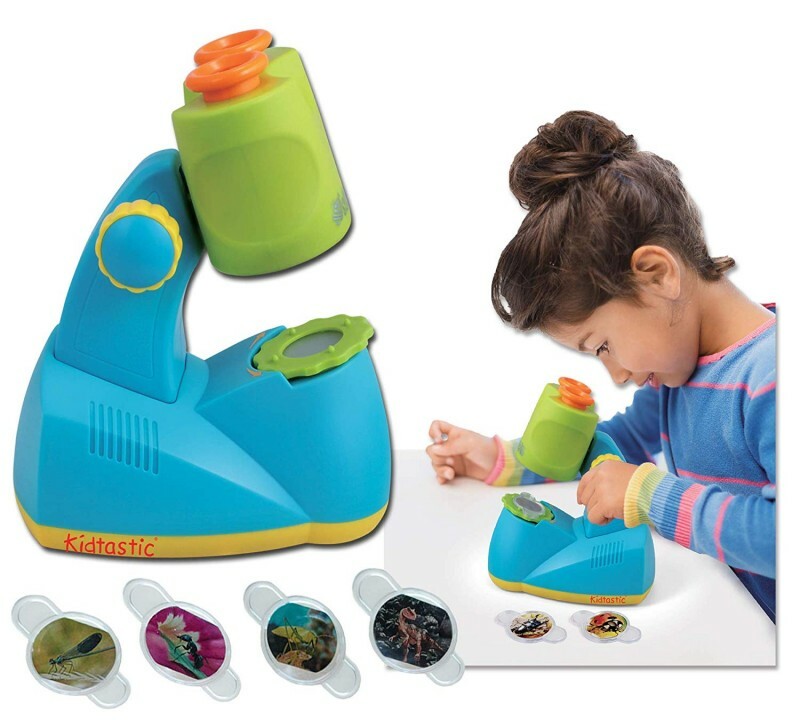 Our kids are going to absolutely LOVE this, because they’re always finding things outside and using a magnifying glass to examine them further. I know that this microscope is about to become one of their favorite toys, especially as we head into spring! 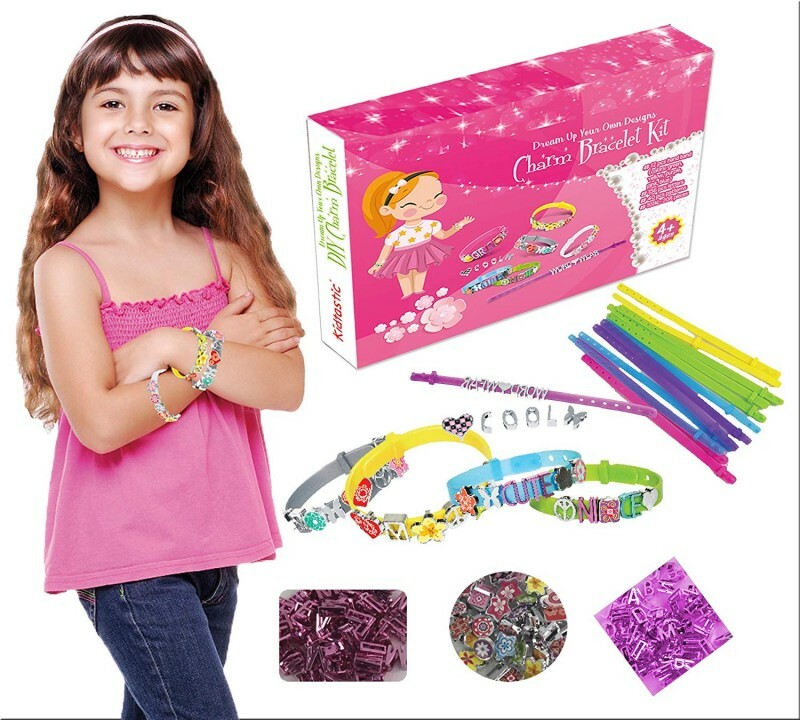 This DIY Bracelet Making Kit from Kidtastic is going to be the perfect Easter basket item for our (almost) six year old daughter. She’s really getting into jewelry and loves sitting down and working with beads to make bracelets and necklaces. One of the main things I love about this kit is that it’s completely mess-free! It doesn’t require any gluing or tools, and is something she can work on quietly by herself. 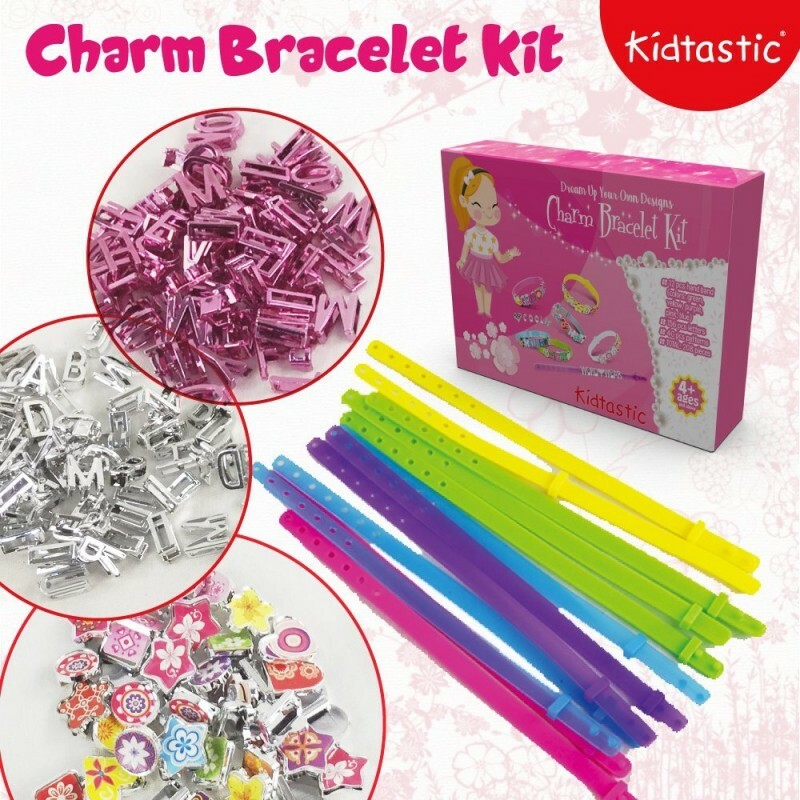 It comes with 208 pieces and a variety of patterns; plus, you can reuse the charms and take bracelets apart for even more fun! I know Harper’s going to love making bracelets for her friends and family. 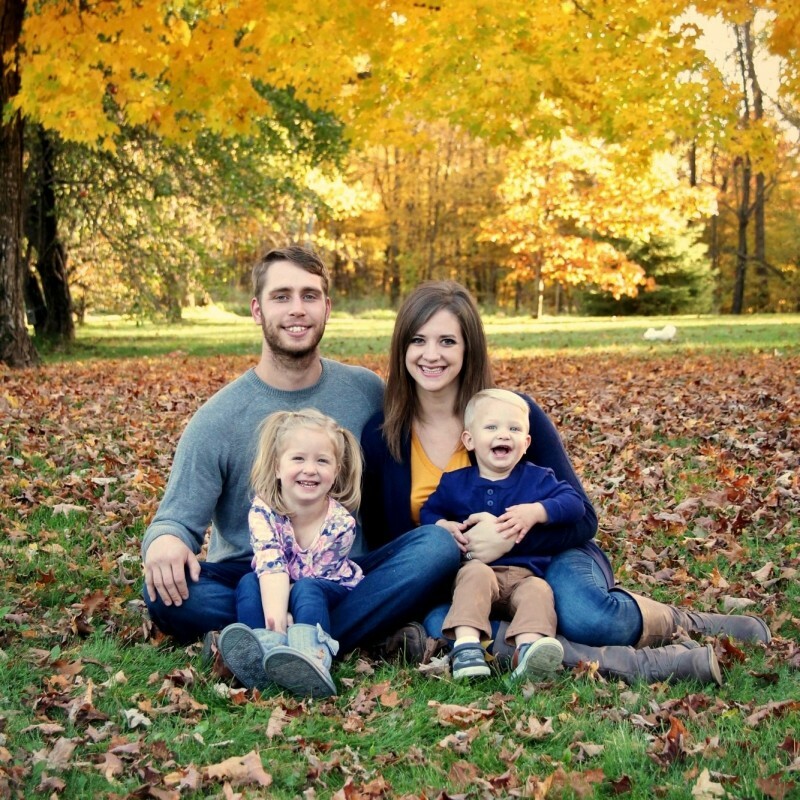 Kidtastic offers a large variety of toys and manipulatives for kids of all ages! You can check out their full Amazon shopping page and see some items that we gave the kids for Christmas, too. Our friends at Kidtastic are offering one lucky reader an adorable DIY Jewelry Box! This is a US giveaway ending 4/15. Enter using the Giveaway Tools form below, and good luck! 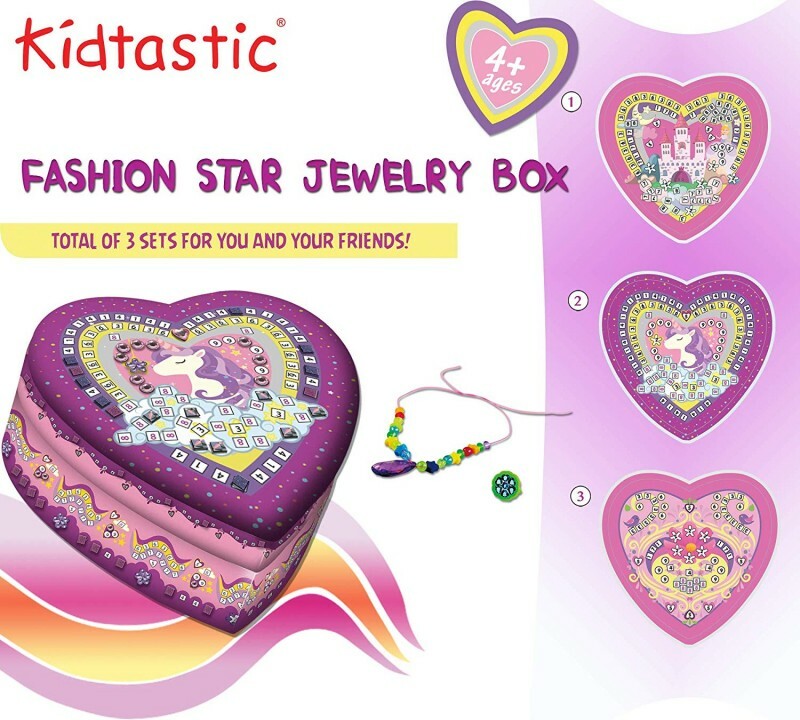 I love the DYI Fashion Star Jewelry box, this help little ones with their creativity and I like that they can design the way they see it pretty.